My crock pot is undoubtedly the MVP of my kitchen. It is kind of like Tim Tebow: it lacks some professional attributes (after all it was $5 at a thrift store), but it never fails to amaze me how it carries through in the end. It’s extremely low maintenance: I throw a bunch of vegetables, meat, some spices, and sauce in the slow cooker in the morning and don’t have to do anything til it’s nearly done (similar to how you don’t have to watch a Broncos game until there are less than ten minutes left in the 4th quarter). No matter what I throw in it, 6 hours later my apartment is filled with aromas of paprika and cumin and I am eating a succulent dinner. 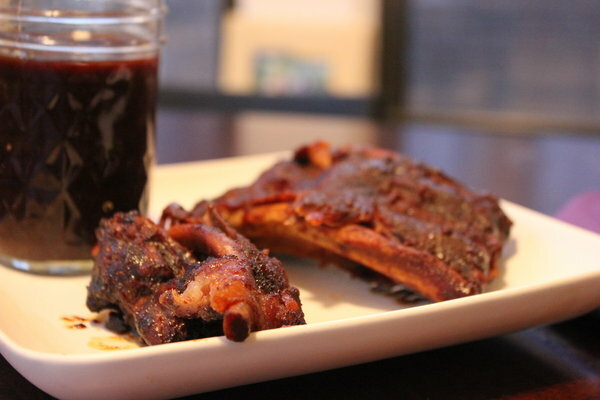 If you are still not convinced of the miraculous nature of my crock pot, try the following recipe for baby back ribs and you will become a believer. These ribs are heavenly; they’re so tender and juicy that they are nearly impossible to lift out of the crock pot without falling apart. The combination of barbeque sauce, Worcestershire sauce, and coke yield a sweet and savory sauce. And letting them sit in a dry rub overnight produces yet another sweet-spicy layer. These ribs are the perfect treat for you and a few friends on a winter night with beans and cornbread. Alex Milling is a recent graduate of Northwestern and loves dry, full-bodied red wines. Mix together brown sugar, salt, paprika, cumin, and chili powder. Rub ribs with spice mixture and leave, covered, overnight in fridge. Place onions and garlic at bottom of the crock pot, add ribs, then coke, barbeque sauce, and Worcestershire sauce. Let cook for 6 hours on low and enjoy ribs while hot. These look amazing! I’m totally making them.